Cover image: Alma’s Captains by James Fullmer. Warfare between the Lamanites and the Nephites was a disturbing reality from the reign of Nephi forward (2 Nephi 5:34; Jacob 1:10; 7:26). Toward the end of his life Jacob wrote of the animosity-driven wars and bloodshed caused by the Lamanites, “wherefore, the people of Nephi did fortify against them with their arms, and with all their might trusting in the God and rock of their salvation; wherefore, they became, as yet, conquerors of their enemies” (Jacob 7:25). Enos “saw wars … in the course of [his] days” (Enos 1:24), and Jarom said the Nephites in his day “began to fortify [their] cities” and make “weapons of war—yea, the sharp pointed arrow, and the quiver, and the dart, and the javelin” (Jarom 1:7–8). Several of the authors in Omni also mentioned experiencing wars (Omni 1:3, 10, 17, 24). Hassig also argued, “At the same time, fortifications grew in number and size to counter the threat of the emergent armies.” In 1990, John L. Sorenson documented a similar trend in the archaeological record, noting a sharp increase in fortified sites between 400–50 BC. Interestingly, these archaeological trends correspond well with Jarom’s mention of the Nephites fortifying their cities and making weapons of war between 400–360 BC (Jarom 1:5, 13). The specific weapons listed by Jarom are also interesting. According to Brant A. Gardner, Jarom’s “weapons catalogue includes those most common in Mesoamerica.” Although the mention of arrow, dart, and javelin might seem redundant, standard Mesoamerican weapons inventories included “darts, arrows, [and] spears,” each as a separate weapon with slightly different uses. 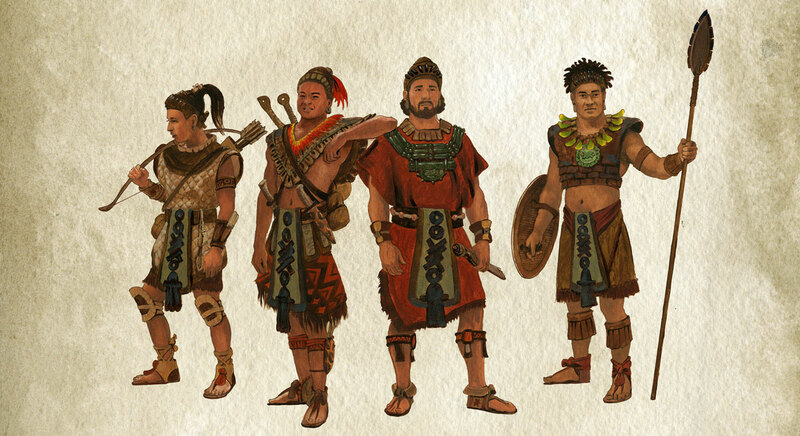 Under the constant threat of warfare, the Nephites had to adapt and be prepared in order to survive. Thus they fortified their cities (Jarom 1:7) and developed new weapons (Jarom 1:8) and strategies to better meet the needs of their circumstances. Innovation and constant improvement allowed for continued success. This pattern repeats itself throughout the Book of Mormon. In the aftermath of one of the worst battles of Lehite history in which tens of thousands of Lamanites and Nephites were slaughtered (Alma 28:2–6), Moroni prepared all his men with breastplates, shields of various kinds and thick clothing, which caught their enemies off-guard (Alma 43:19–20). It was not long before the Lamanites “had also prepared themselves with shields, and with breastplates” and “very thick garments to cover their nakedness” (Alma 49:6), but they were disappointed to find that Moroni had not been idle, but had heavily fortified cities like Ammonihah and Noah which had once been weak points in the Nephites defense system (Alma 48–49). Later when facing the threat of the Gadianton robbers, the Nephites, under prophetic leadership and counsel once again tailored and adapted strategies and resources to meet the unique threat posed by enemy tactics (3 Nephi 3:21). This time, the people gathered by command of Governor Lachoneus, and under Chief Captain Gidgiddoni, fortified their united resistance in a seven-year plan to starve out the robbers. Just as the Nephites of Jarom’s and Moroni’s and Gidgiddoni’s time innovated and implemented the latest military technologies of their day, our gospel study habits should also adapt to utilize the latest technologies available to enhance our own spiritual defenses. The Adversary is taking full advantage of the Internet in his efforts to tempt individuals and destroy testimonies. But the Internet can also be used to strengthen and fortify one’s faith. Not only are digital editions of the scriptures fully searchable and easily available on your tablet or smartphone, there is also a wealth of online resources provided by the Church and independent faithful organizations. The Church’s Gospel Topics essays provide an encyclopedic resource on common questions. The History portion of LDS.org provides a rich array of historical information and essays, and the Joseph Smith Papers Project makes primary sources related to the life of the prophet Joseph Smith readily available online. 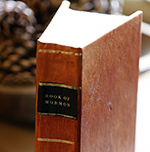 Extensive scholarship on the Book of Mormon is available online as well, and can further enhance one’s scripture study. Gone are the days when a student asked an honest question and a teacher responded, “Don’t worry about it!” Gone are the days when a student raised a sincere concern and a teacher bore his or her testimony as a response intended to avoid the issue. Gone are the days when students were protected from people who attacked the Church. Yet Elder Ballard promised that as we implement new resources and technologies, “combining learning by study, by faith, and by pure testimony,” we will bring “about true and long and lasting conversion.” Such conversion is what is truly needed to withstand the attacks of the Adversary and endure these troubled times. John L. Sorenson, Mormon’s Codex: An Ancient American Book (Salt Lake City and Provo, UT: Deseret Book and Neal A. Maxwell Institute for Religious Scholarship, 2013), 405–417. Enos also noted that the Lamanites were “a blood-thirsty people” whose “skill was in the bow, and in the cimeter, and the ax” (Enos 1:20). For the timing of Jarom’s writing, see Jarom 1:5, 13. See Brant A. Gardner, Traditions of the Fathers: The Book of Mormon as History (Salt Lake City, UT: Greg Kofford Books, 2015), 208–211. Hassig, “Warfare,” 317. See also Hassig, War and Society, 32. For more on fortifications in the Book of Mormon, see Book of Mormon Central, “What was the Nature of Nephite Fortifications? (Alma 50:6),” KnoWhy 158 (August 4, 2016). John L. Sorenson, “Fortifications in the Book of Mormon Account Compared with Mesoamerican Fortifications,” in Warfare in the Book of Mormon, ed. Stephen D. Ricks and William J. Hamblin (Salt Lake City and Provo, UT: Deseret Book and FARMS, 1990), 429, table 2. See also Takeshi Inomata and Daniela Triadan, “Culture and Practice of War in Maya Society,” in Warfare in Cultural Context: Practice, Agency, and the Archaeology of Violence, ed. Axel E. Nielson and William H. Walker (Tucson, AZ: University of Arizona Press, 2009), 66. Jay Silverstein and David L. Webster, “Fortifications,” in Archaeology of Ancient Mexico and Central America: An Encyclopedia, ed. Susan Toby Evans and David L. Webster (New York, NY: Routledge, 2010), 283 seem to indicate fortified sites emerging more frequently between 500–300 BC. Jarom also mentions “quivers,” which are merely a means to carry projectile weapons such as arrows and darts, and were used by both the Aztec and the Maya. See Hassig, War and Society, 138, 248 n.7; Lynn V. Foster, Handbook to Life in the Ancient Maya World (New York, NY: Oxford University Press, 2002), 146. The exact timing of when the bow was introduced into Mesoamerican warfare is a matter of continued debate. However, in a recent and comprehensive assessment of Maya weaponry, especially chipped-stone weaponry, Dr. Kazuo Aoyama has noted: “Although spear or dart points were more important than the bow and arrow in Classic Maya warfare, both notched and unnotched obsidian prismatic blade points were present in the Copan Valley during the Early and Late Classic periods … . The result of high-power microwear analysis indicate that these points were main used as arrowheads. The bow and arrow was present in the Maya lowlands earlier than has been previously suggested.” Kazuo Aoyama, “Classic Maya Warfare and Weapons: Spear, Dart, and Arrow Points of Aguateca and Copan,” Ancient Mesoamerica 16, no. 2 (2005): 291–304, quote on 301, emphasis added. See also William J. Hamblin, “The Bow and Arrow in the Book of Mormon,” in Warfare in the Book of Mormon, 379–392; John L. Sorenson, Mormon’s Codex: An Ancient American Book (Salt Lake City and Provo, UT: Deseret Book and Neal A. Maxwell Institute for Religious Scholarship, 2013), 413–415. Since, in the view of Hassig, War and Society, 30, “weapons pioneered by the Olmec” were spreading at this time, it may be of value to consider Jarom’s “sharp pointed arrow” in the light of an Olmec innovation in weaponry. At an early time in Olmec warfare, “Only fire-hardened wooden spears were used … but obsidian projectile points were adopted” by the Olmec in 1150 BC. “These large obsidian points produced spears superior to wooden ones in that both points and long cutting edges could be used to slash and puncture rather than simply be thrown.” Hassig, War and Society, 15. Naturally, obsidian points were used for other projectiles (such as darts and arrows) as well. A “sharp pointed arrow” may thus be a reference to an obsidian pointed projectile, versus wooden-tipped projectiles which had more limited use and effectiveness. For more on Moroni’s innovations, see Book of Mormon Central, “Why Was Moroni’s Young Age an Advantage? (Alma 43:17),” KnoWhy 151 (July 26, 2016). Elder M. Russell Ballard recently taught, “It is important that you know the content of [the Gospel Topics] essays,” and also stressed, “You should also become familiar with the Joseph Smith Papers website, the Church history section on LDS.org, and other resources by faithful LDS scholars.” Elder M. Russell Ballard, “By Study and By Faith,” Ensign, December 2016, 26. Elder Ballard, “By Study and By Faith,” 26. Elder Ballard, “By Study and By Faith,” 27. Elder Ballard, “By Study and By Faith,” 22. Elder Ballard, “By Study and By Faith,” 29.